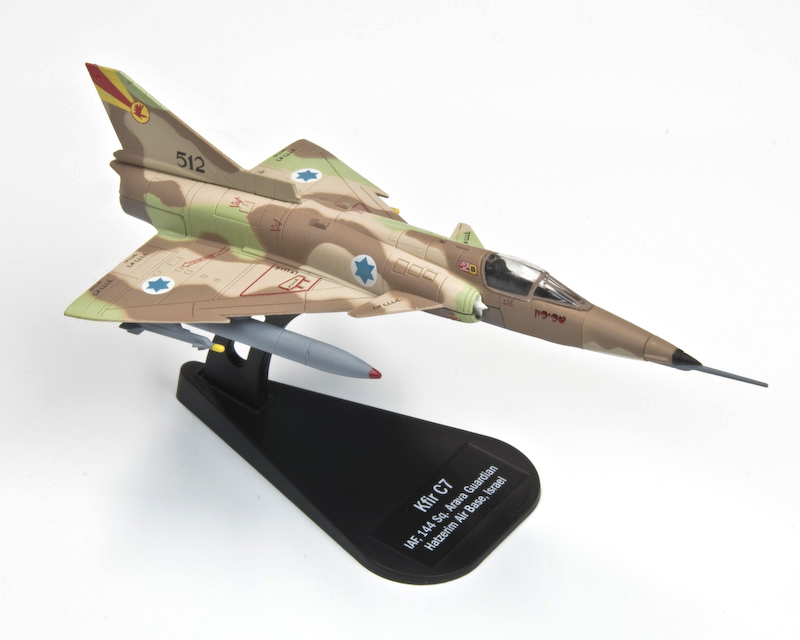 The Israel Aircraft Industries Kfir (Hebrew: כְּפִיר, "Lion Cub") is an Israeli-built all-weather, multirole combat aircraft based on a modified French Dassault Mirage 5 airframe, with Israeli avionics and an Israeli-made version of the General Electric J79 turbojet engine. 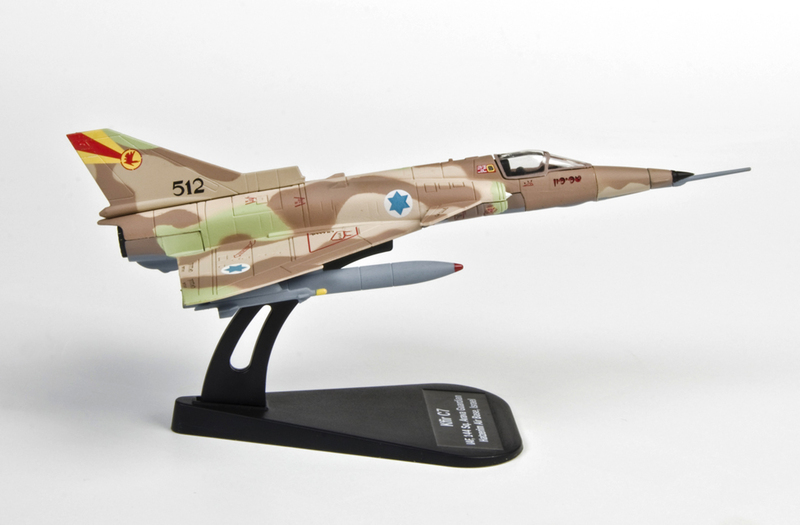 Kfir C.7 : Vastly modified variant. Most if not all C.2 aircraft were modified to this variant. It included an improved J79-GEJ1E engine that offered more 1,000 lbs of thrust at full afterburner (and as a result increasing the Maximum Take-off Weight by 3,395 lbs), 2 more hardpoints under the air intakes, better avionics such as the Elta EL/M-2021B radar, HOTAS configured cockpit and inflight refueling capability.